The latest studies show sitting, for long periods of time, like more than 6 hours a day, can be just as detrimental to your health as smoking. 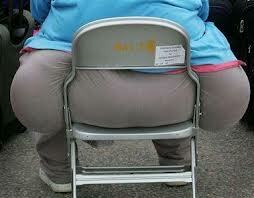 Prolonged sitting is horrible for your spine, makes your muscles atrophy and results in obesity. Hunching over a desk results in terrible posture, tight shoulders, a weak core, neck and low back pain, not to mention your computer screen’s damaging effect on vision. This is bad news for the 100+ million Americans who sit about 9 hours, each day. We sit at the breakfast table, then in a car, train or bus commuting to work, then sit at a desk, counter or computer for 8 hours, then sit on the return commute to get home in time to sit at the dinner table and then follow all that sitting time with a little more sitting in front of the TV. The same health concerns apply to kids who sit on the way to school and then for 6-8 hours at school and then sit some more while doing homework, dinner and TV time. They say even adult ‘binge exercisers’, those who bang out an hour at the gym each day, cannot undo the colossal amount of time they spend on their rear ends. To offset all of this sedentation, some schools are using stools instead of seats, so kids will have to engage their core muscles while seated. Some people are choosing to bike to work or take long walks on their lunch breaks. Some companies are providing standing work stations. Although, long periods of standing are also tough on the spine and circulation (think varicose veins), so some really slick work places are providing standing work stations with treadmills! Employees can their walk on while they work (I smell a workers comp injury). Some people are simply opting for jobs where they can be outdoors. So, until we all figure out a way to walk, jog, repel, ski, dance, glide, skate, ride, box, roll, skip, jump, climb, sail, float, zip or paddle through our days….we just need to remember to get off our cans and MOVE OUR BODIES. Not once a day. But as often as possible. Unless early death sounds alluring. Hourly office dance parties anyone? And I thought if I ran around and exercised all day I could sit down and read for hours at night. Don’t take my last pleasure away. If you are running around all day, reading at night for hours is fine!